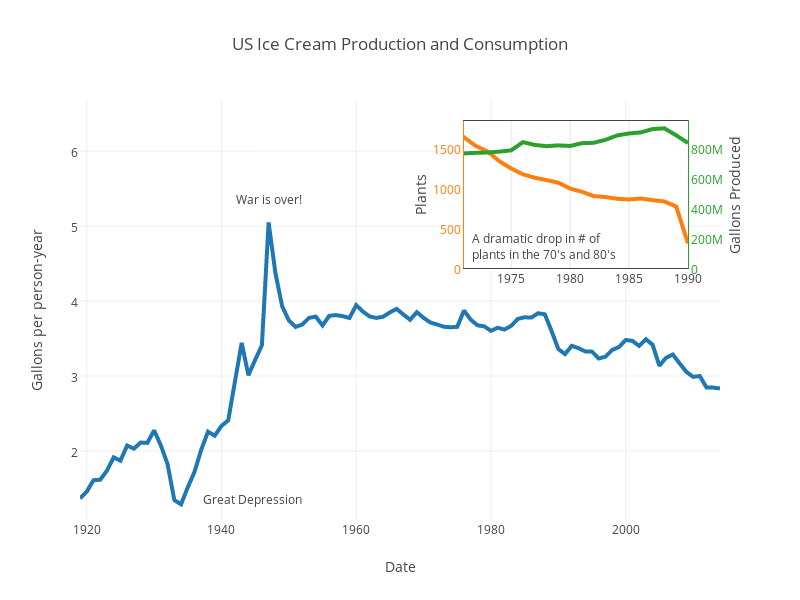 At Plotly, we like graphs. We bet you do too. But it’s hard to get data for graphs or from graphs. 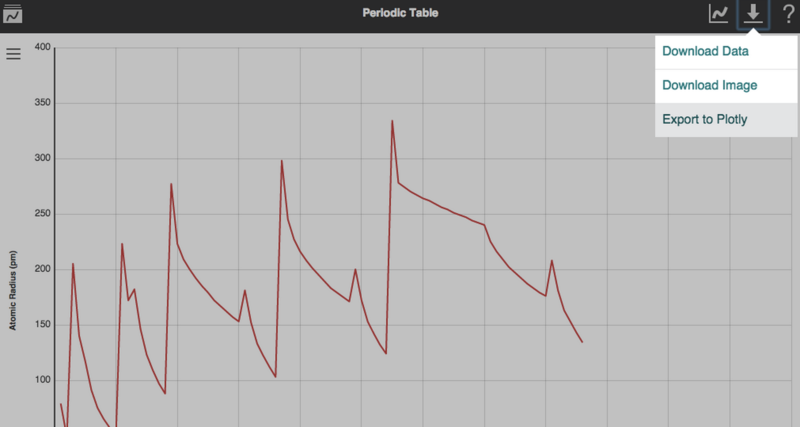 Data.gov, Quandl and Vernier let you export data directly to Chart Studio. If you want to partner with us, write to feedback@plot.ly. We also provide technical documentation on setting up an integration. Keeping track of your data source is important. That’s why Plotly automatically includes a link to the URL that hosts your data. 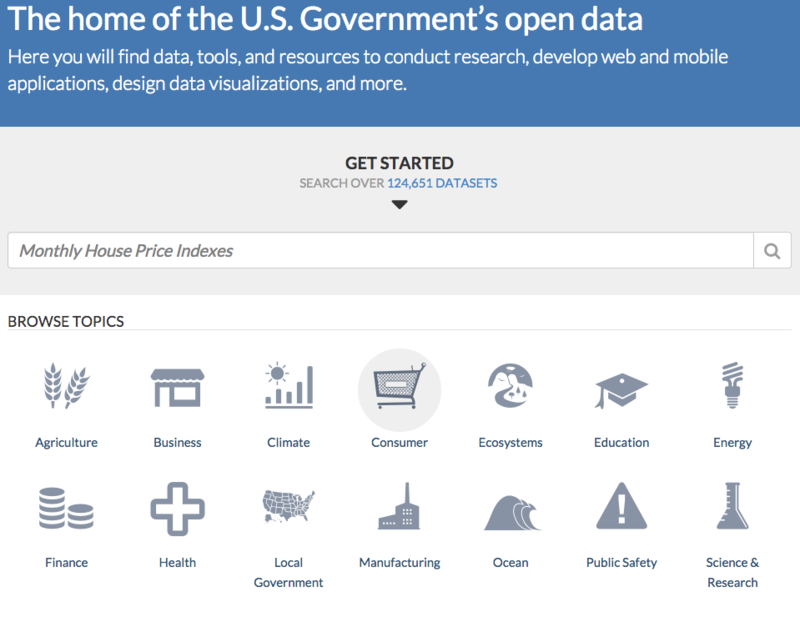 Data.gov is the home of the U.S. Government's open data and hosts over 124,651 data sets. They've recently built an "Open With" option that let's you send the data directly to Plotly to create interactive graphs for free. This feature is supported on smaller CSV and XLS files. 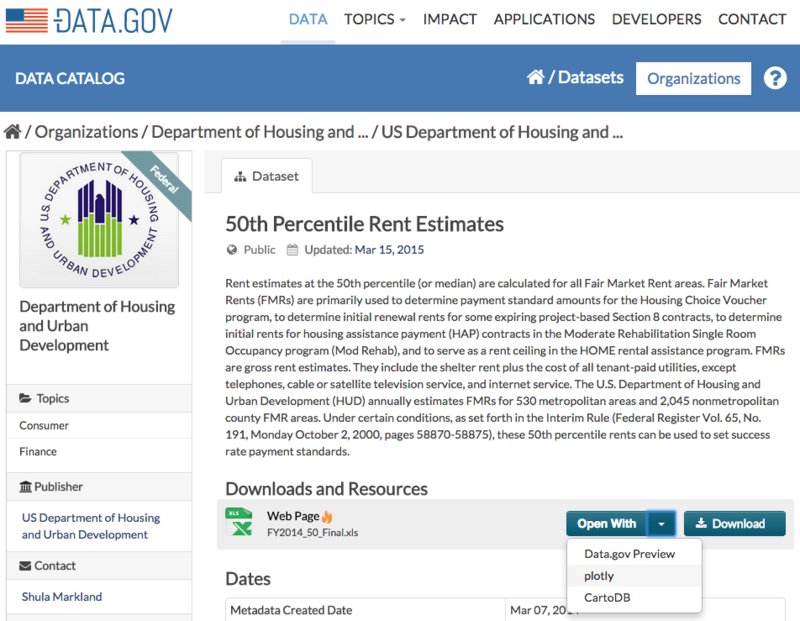 Look for the "Open With" menu when searching through their data sets. 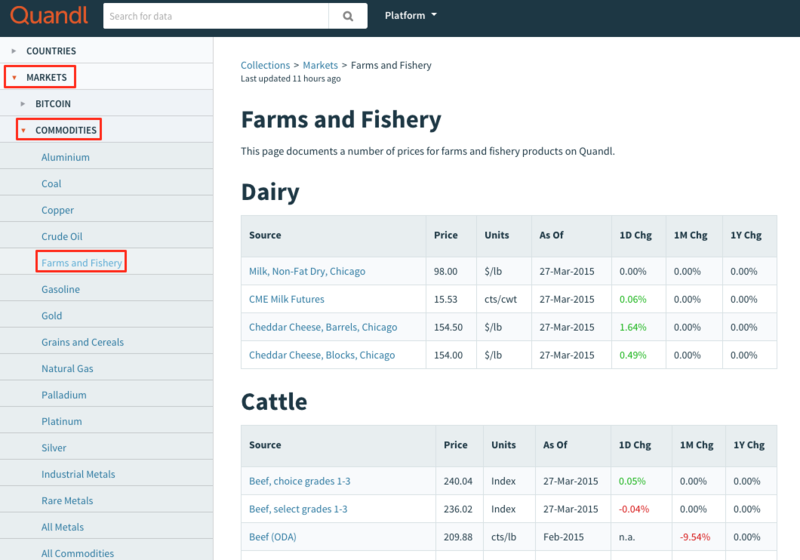 The toolbar on the left lets us filter the data by type, tags, format and more. 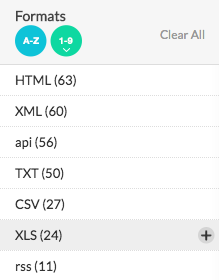 If you want to quickly find data sets that you can export to Plotly, filtering the format to XLS or CSV is helpful. 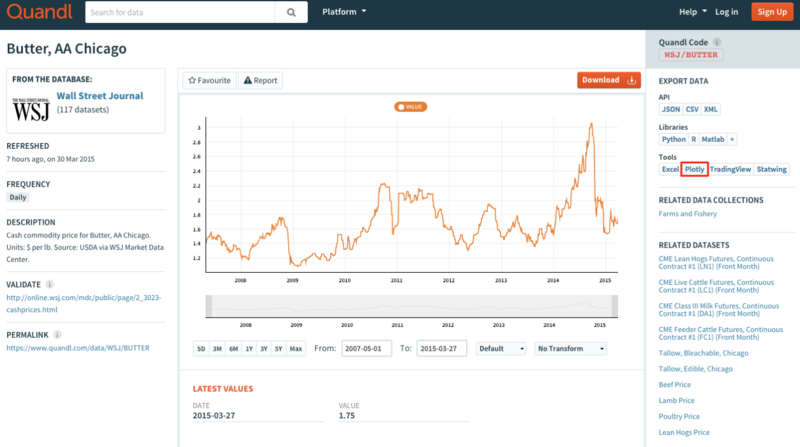 Quandl is a search engine for numerical data. 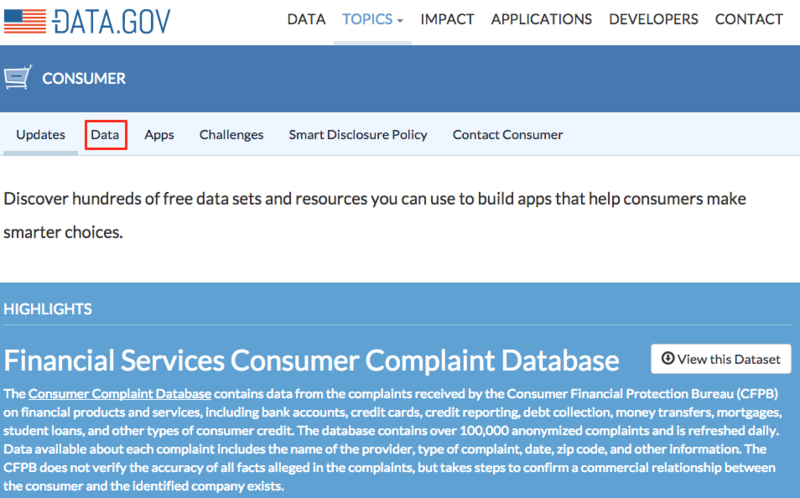 They host data sets from hundreds of publishers, all organized and easy to search. Quandl automatically sends data to a new Plotly spreadsheet, neatly formatted, organized and ready for graphing. Vernier develops and produces easy-to-use data-aquisition products (think sensors, data loggers and experiments) for science classrooms and labs around the world. Vernier's Data Share Apps (built for iPad, Android, Chromebooks, and mixed-device classrooms), allow you to use their excellent hardware across platforms, from most devices. You can export data directly to Plotly, which gives you a seamless workflow on your Chromebook, iPad or tablet. An export to Plotly with Logger Pro is coming soon. Click on the Download icon in the top-right corner of the Data Share web app. Select Export to Plotly to open the collected data in Plotly's web app.